The salvation of any historic shipwreck and putting it on display to the public is no mean feat. One of the best examples is at the Vasa Museum in Stockholm, an attraction that undoubtedly represents one of the top things to see and do in Sweden. The story of King Gustav Adolphus’ signature battleship that sank on its maiden voyage in 1628 is told at a truly world-class museum. In the 1950s, a team of maritime archaeologists were convinced that the remains of the sunken warship were still at the foot of the Stockholm harbour. After finding a series of coins, cannons and other objects the big raise occurred. There was no longer any doubt – this was the Vasa. The battered and long since wrecked ship remained in a storage facility. 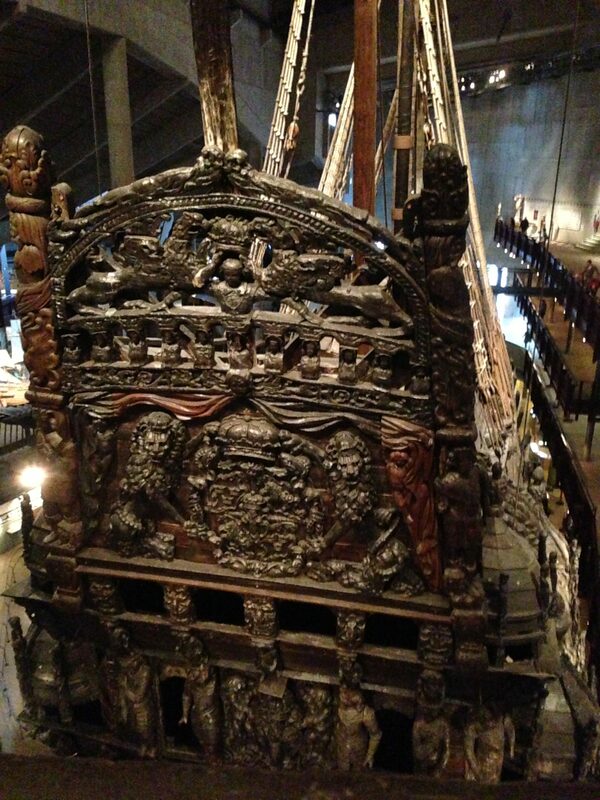 For nearly thirty years the Vasa was given a thorough cleaning ready for restoration. Finally in 1990, on the lush green pastures of Djurgården in Stockholm, an actual museum all about this great Swedish icon opened. The Vasa Museum (or Vasamuseet) is located on Djurgården. Close to the centre of Stockholm this island of green serenity is also a location for numerous other great museums and parkland too. To get here, there is a tram service (the 7N, or the “Djurgårdslinjen”). This departs from the very centre of the city opposite the NK department store. In fact Djurgården itself is more than worth a trek by foot on a pleasant day. 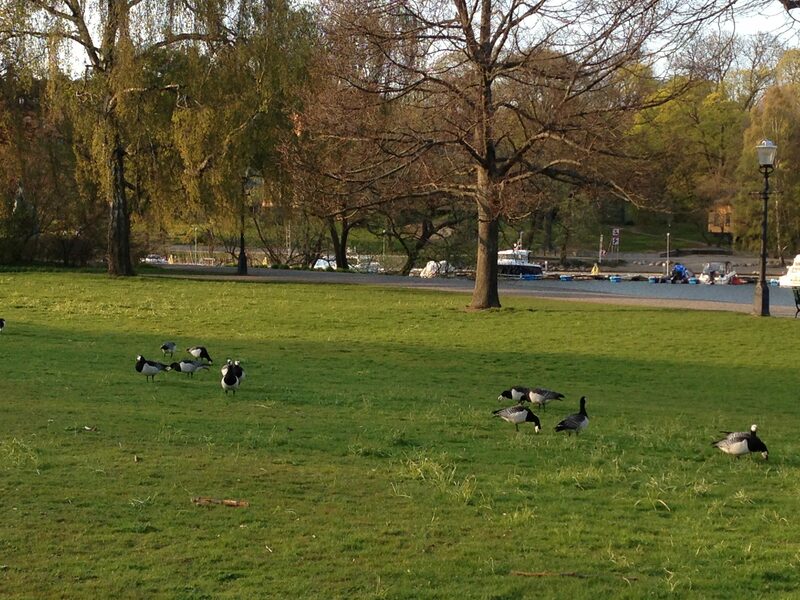 Happy geese making the greenery of Djurgården their home! For those who have visited, in Portsmouth you will find the great exhibit of the Mary Rose. This was the main symbol of the English Navy in Tudor years which sank during the reign of King Henry VIII. The Mary Rose lay at the bottom of the Solent for more than four centuries until its rediscovery in 1971. Raised from the sea in 1982, its wreckage and accompanying background history formed the basis for a very impressive and fascinating museum. However, Stockholm is home to a similar story but of an even greater scale. So much so that even some visitors to the Mary Rose have quipped “but it’s not like the Vasa”! As you enter the Vasa Museum you feel instantly dwarfed by the size of this giant warship that greets you, its trademark lion’s head sticking out at the front of its prow. But this museum is not just a display. All around is what feels like an insight into 17th Century Sweden, a period of great power and influence exerted by this nation. Furthermore, on all levels of the Vasa Museum are a range of brilliant exhibitions that tell in detail the story of the construction of the ship, the disaster that followed, and the ambition of the restoration project and its findings. Quite impressive, isn’t it? But not even a picture can do justice to the real thing! How could a ship so robust with firepower and being deemed unsinkable actually sink? After an intense three years of construction, the Vasa’s maiden voyage took place on the morning of 10 August 1628. An excited crowd of locals and foreign ambassadors watched as the ship’s cannons fired a salute. Not too long after setting sail, the heavy winds caused the ship to keel over and capsize claiming around 50 lives in the process. In the aftermath of such an embarrassing blow to the King, the Council of State ordered an inquest into how such an ambitious project resulted in tragic disaster. Questions were asked left, right and centre. The captains, crew and shipbuilders were all interrogated but after a month no clear answer was found. Speculation mounted and in later years some of the more agreed answers pointed to irregularity in the ship’s height and length. Too narrow and too long, perhaps? Or too heavily loaded with more cannons and decorative ornaments than necessary? In the auditorium, a short film is screened at regular intervals. This documentary not only tells the story of the sinking but the full extent and ambition that led to the ship being lifted from the sea bed and to the world class museum it today inhabits. One reason why I found the Vasa Museum hands down one of the best I have ever visited is also due to the number of exhibitions. All of which tell the story in a way that is very easy to digest for people of all ages. Walking past the giant ship, a clever diorama re-enacts the process of its construction and the significance to the king. Gustav Adolphus II wanted something that was so ostentatious, garish in its colour schemes and lavish in the quantity of sculptures to show the world how much of a force to be reckoned with the Swedish Empire was in the early 17th Century. The giant original Vasa you see however, does not look 100% like it originally did. Although many of the outer sculptures and figureheads are still more or less visible, they are not in their original colours. More than 300 years at the bottom of the sea will have completely washed away all paintwork. 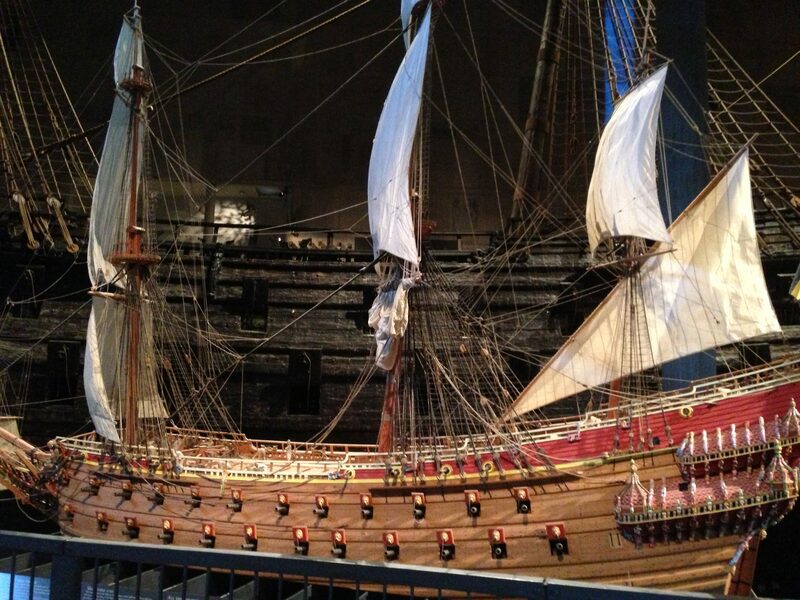 So, at a smaller scale, a replica of the Vasa was constructed. Painted to look almost like the real thing did, you can see a replica on show. On the upper level, there are many of the sculptures that adorned the ship. Heavily influenced by Ancient Greek and Roman symbolism you get a feel for the King’s ambitions. Ambition to exert influence from as many of the great rulers and emperors of bygone eras possible. Also here you will find a wealth of objects and weapons salvaged from the wreckage all put spotlessly on display. One aspect of the Vasa Museum that certainly impressed me was the variety of interactive features on offer. Definitely brought out the big kid in me, and will probably do the same to you as well! On the upper level is a very clever mindbender of a game that gives you the chance to put right what went wrong on that fateful August day in 1628. See for yourself if you can do any better than the King’s cohorts did by deciding how to build an “unsinkable battleship” using the equipment of the time, and how far it can travel without sinking. Or without sinking at all! Something that would be awesome but not practical is to actually walk on board the Vasa itself. Unfortunately this cannot be done due to its delicate enough condition and thus associated risks. However, the next best thing towards getting a realistic feel for life on board came on the top floor. There, you can go inside a recreation of the ship’s battery deck – cannons and all. Before you leave the museum, there is a very thoughtful section that puts aspects of time and location into place. Look up what was going on in your part of the world during 1628, and relate it back to the Vasa. Intriguing enough to realise just how little influence Great Britain had in the 17th Century compared to most of Europe! 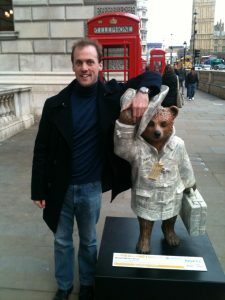 Feel free to leave a photo and video message as you will see many previous visitors have done here. The museum is open 10m-5pm daily but however on Wednesdays open till 8pm. Expect large queues on weekends which is inevitable. Arrive early or if possible do what I did and choose to go on a Wednesday. Less crowds and more time to explore – simple as! However, the only down side is that the cafe still closes at 4pm like on other days. But generally, eating arrangements are down to you. Entrance is only 130 SEK (roughly equivalent to £10 or $12USD or €13). (at time of writing this article). I would highly recommend that you join a guided tour. Taking place on the half hour every hour (every two hours on weekdays), a member of staff shows you around giving an insightful knowledge of the Vasa. You do not need to purchase an extra ticket for this. For a large group tour (i.e 10 people or more) or in any language other than English or Swedish then you need to book in advance and check the official website for details. 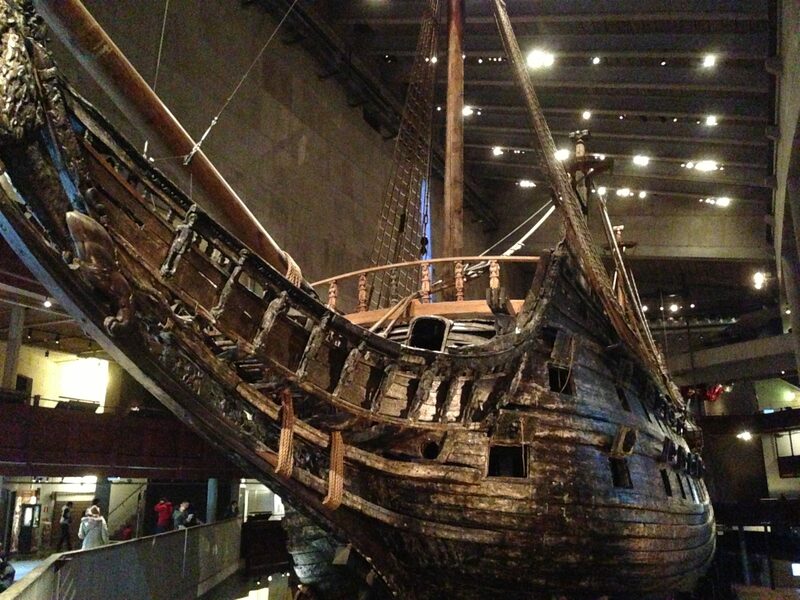 Oh, and fancy an evening dinner in the presence of the Vasa? Have a look here and you can organise something truly unforgettable. Bon appetit!